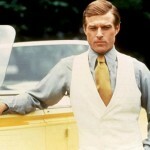 You are here: Home » Uncategorized » Gatsby Fest Begins. Can You Help Me Out, Old Sport? Gatsby Fest Begins. Can You Help Me Out, Old Sport? But I admit, during my last read, a few weeks ago, I saw something I had not recognized before. I saw Gatsby in a different light. I saw him as this fortunate person who has had wealth bestowed upon him with very little effort of his own, and yet he treats it – and the rest of us – cavalierly. Wow. Is this me? Am I like the idiots who just drink his booze and then say big deal when I hear about his misfortune? Or did I just go all Informed Not Inflamed on a fictional character? In short, I need new perspectives. So, I need you. 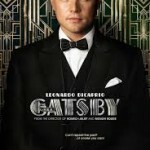 I need your takes and reactions to the new Gatsby film to be released May 8th. Like me, will you look at Gatsby as that hero from the 1920s searching for his love or equate him to today’s immoral corporatists who rode the wave of crony capitalism and easy Fed money? 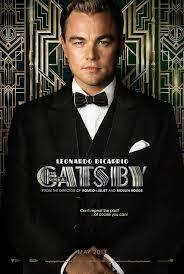 Can we still have compassion for Gatsby after what we have been through? Here’s another take like mine but more articulate. Have you read the book at all? Will you? Here’s a link to an audible version. Will you watch the red carpet coverage for tonight’s premiere on E!? Goofy as it might seem, I might. What will Baz Luhrmann’s direction bring to this most American of novels? Luhrmann directed Romeo and Juliet and Moulin Rouge. 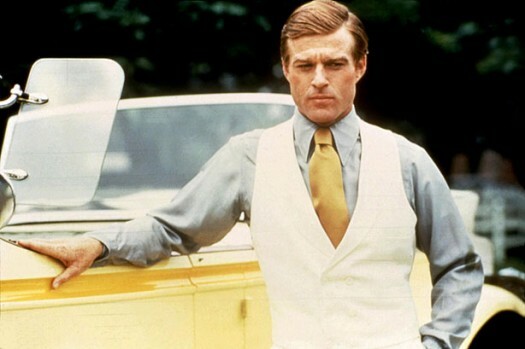 The trailers look like a totally different Gatsby than the Redford version in 1974. Instead, the sets look like a backdrop for Atlas Shrugged. How different will DiCaprio differ from Redford? The trailers make Leo more Machiavellian while Redford was just a good old Midwestern boy who wants his girl. Will Daisy be as vapid as Fitzgerald wrote her and how does that translate today? What effect will the music of J-Z have? I don’t think you will be hearing this romantic tune from the 1974 movie that was written by Irving Berlin the year before Gatsby was published. Will you think of other great pieces of fiction? For instance, I can’t forget the Hemingway short story Solider’s Home that shows the psyche of the war vet shocked by WWI and then thrust into what Fitzgerald described as an “orgiastic” future. I will also think about the book Quiet which I reviewed here. Susan Cain writes about our culture of character up until the 1920s that became our current culture of personality. Gatsby was the first TV host of his time entertaining many to get what he wants. If you watch the red carpet on E! I am sure the personalities of the 1920s aren’t too far off from what we have in a our culture of personality today. Help me out. Will ya, Old Sport! Next post: Israel Strike in Syria?